Blogging for a living is all about creating compelling content, sharing it on social media and trying your best to make efficient use of your time. After blogging for quite some time, your networks become larger and time becomes smaller. Now that you are flowing well with content and promotion, it’s time to opt for some blogging tools. These 5 blogging tools will help you work faster and better, regardless the size of your audience. There are a few options with CoSchedule and I love that you can try a free version of it to test the waters. This is the best social media scheduling blogging tool out there. You can literally schedule promotions for your new content using the WP plugin for CoSchedule within your blog dashboard. There’s also the CoSchedule website where you can become more efficient in the promotion of direct sales, services you offer and much more. CoSchedule will save a ton of time. This is a wonderful tool for bloggers who think they know grammar but want to be sure. The cost is a little hefty but well worth it to ensure you work faster and better. Using Grammarly to review your grammar and other critical writing issues that can arise for even the best writers will ensure your content gets better with each publication. There’s an add-on for Chrome and Firefox or you can go to their website to copy and paste content in then check it for critical and non-critical grammatical errors. This service is strictly created for Pinterest. Having a good reach on Pinterest will matter most for recipe and craft bloggers, while other niches do see some good results as well. Tailwind allows you to easily schedule pins of your own as well as recommended Pinterest users who have content relevant to your niche. This is a great way to work faster and better as you are in one place scheduling out pins so that you remain an active member on Pinterest. This is a great tool to use so that you can work faster in keeping up with comments, retweets, and replies across your social media channels. In one easy to follow dashboard area, you are able to see and reply to anyone quickly. This helps save time from having multiple tabs open to see notifications across social media platforms. Take a few seconds throughout the day, look at Hootsuite and engage those who are engaging with your content on social media. There’s a free version for the basic user and more advanced paid plans for heavier social users. Lastly on this list of 5 blogging tools so you can work faster and better, is Quora. This is a networking platform where users can ask a question and others are able to answer it. Many bloggers use this as a means to create content that will generate decent traffic. Review Quora questions and write a full blog post based on answering said question. This will gain you more traffic and help you work faster because you won’t be spending as much time on content creation ideas. There you have it, 5 blogging tools that will ultimately help you work faster and better. 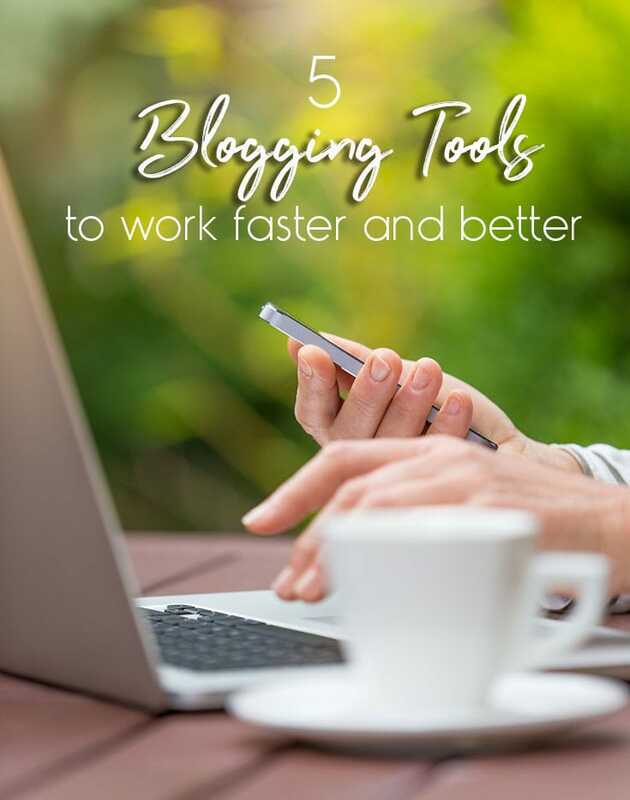 As each day passes, you should be implementing new tools that make sense to invest in because when you invest in your blogging career, it will come back to you tenfold with more traffic and increased revenue.